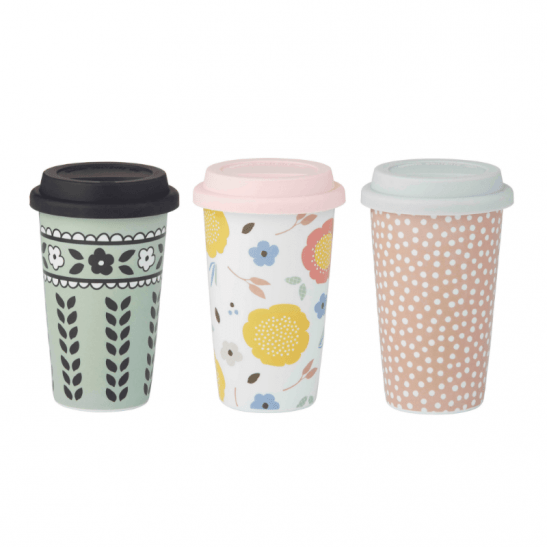 The Anna Gare Travel Mug is available in 3 gorgeous designs – green vines, white floral and pink & white dots. The double walled mugs are made from new bone china and are both dishwasher and microwave safe. 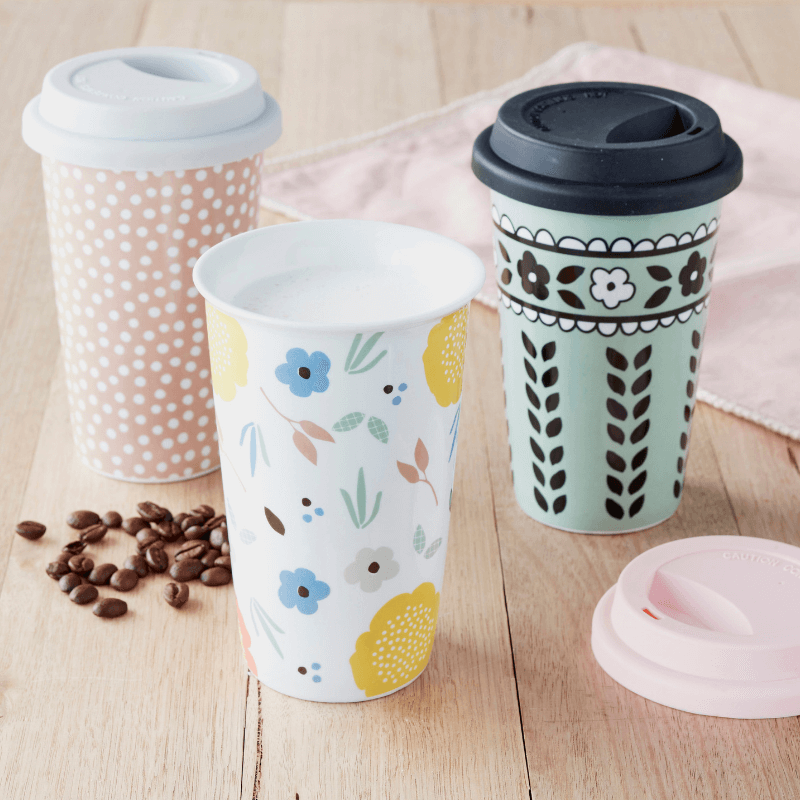 The perfect reusable mug for your morning coffee run!